With even more space and room for up to 7 people, the Tiguan is bigger and better than ever before. Thanks to its superior handling characteristics and advanced safety and technology systems, the all new Tiguan Allspace not only takes you off on new adventures, it is an adventure in itself. 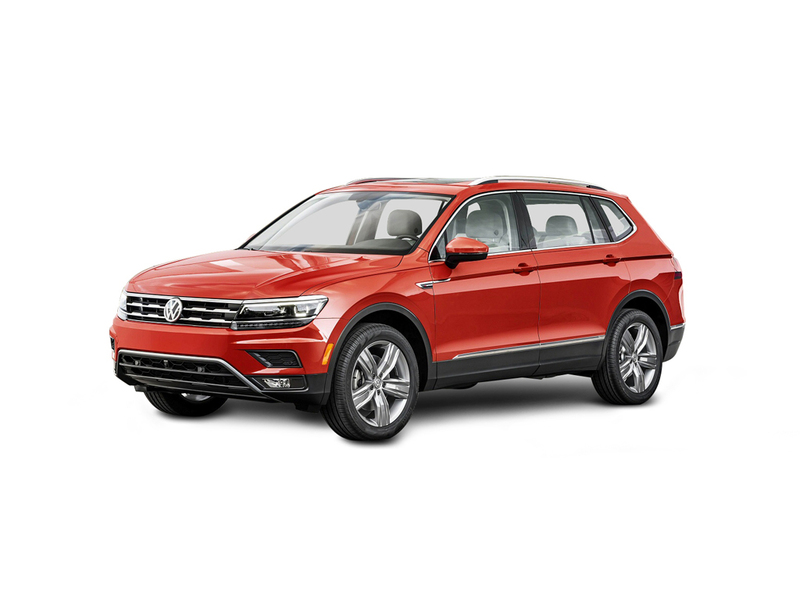 The new Tiguan offers a wide range of exceptional design features including a raft of new alloy wheels designs. They blend perfectly into the new Tiguan’s design and shape its character - from sporty and dynamic through to stylish and elegant. The new Tiguan offers a generously sized panoramic sunroof with ambient lighting strips on either side. With light intensity easily adjustable using the centre console, simply set your mood and drive. Ambient lighting creates a unique mood and atmosphere in the interior. Embedded LED lights highlight features such as the door handles, decorative dashboard inlays and door sill trims as well as the footwell. Perfectly put together. Just for you. The focal point of the ergonomically designed interior is the centre console, which is angled towards the driver so you can intuitively operate the wide range of functions in the new Tiguan. With its superior handling and advanced technology, the new Tiguan not only takes you off on new adventures, it is an adventure in itself. The new design presents a strong and elegant design language. Cast your eyes over the striking details of the exterior. But don’t stop there. Inside, discover the many other remarkable interior design elements. Eye-catching but not dazzling: the LED lights in the new Tiguan increase your range of vision and improve visibility when driving at night – and in fog. Low power consumption and a long service life are further advantages. It’s a design feature that makes the new Tiguan truly unique. Let's get the details right... Select any additional options and accessories for your Tiguan Allspace.